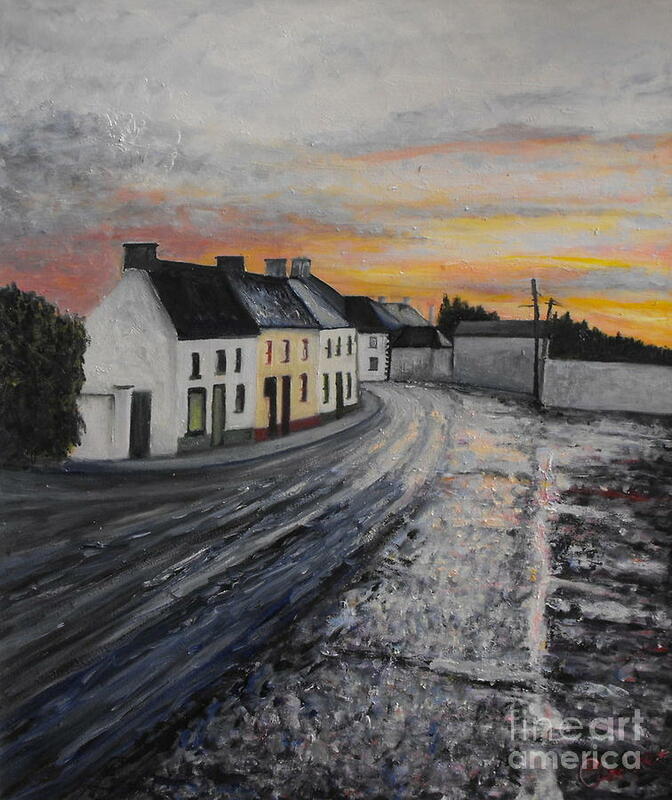 Rathvilly After The Rain is a painting by Caroline Cunningham which was uploaded on August 2nd, 2012. A picturesque award winning village in the south east of Ireland that is Rathvilly in Co. Carlow. The people who live here and diaspora of Rathvilly, are very proud of their home. 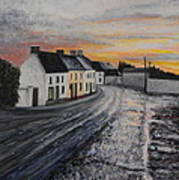 After a heavy downpour of rain on a summers evening the road was glistening with the reflected colours of the setting sun. 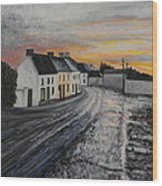 This was one of my very first paintings in oil or any other medium. It marked the start of a journey towards realising my artistic potential. Artist Recommendation: Somerset Velvet is a particularly nice paper choice for this artprint. Beautiful use of deep colors...very nice balanced !! 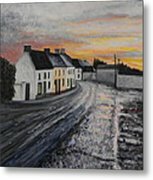 Bill thank you for your lovely comment on my art work! I love this one Caroline. I would like to purchase a print maybe the next time I see you I can get one? Well done, Caroline! How nice it can look in spite of the rain! Thank You Maureen! you have lovely work also...I had a look recently!